How many lessons have I learned throughout my life? How many mistakes have I made? In both cases, there have been too many to count. One thing I have learned is that I am not defined by who I was or what I have done in the past. For all of us, our lives are made up of many lessons and those lessons will hopefully help us become our best selves. We are not doomed to always repeat our mistakes. We are instead blessed with the ability to learn from them. As we start a new day, a new week, and begin anew on life's journey we can take our lessons with us. I feel like I am carrying mine around like a handbag filled with gold. 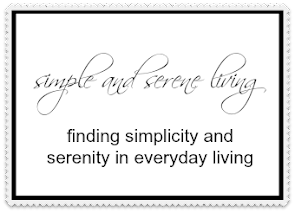 I hope you have a wonderful and serene day. More Inspiration on a Monday here. 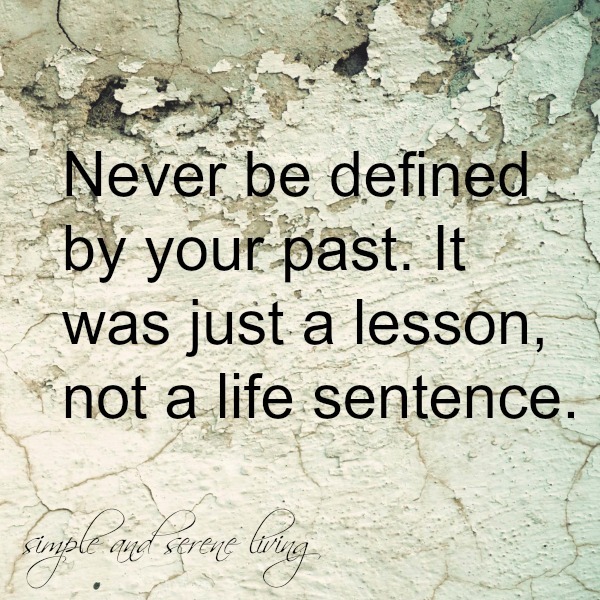 It took me until recently to not let myself be defined by my past. It was a life sentence. I carried it around like a huge weight until I just couldn't carry it anymore. The problem is, others often do define you by it. And there's nothing you can do about that. My life, my heart, is so much lighter by leaving it behind me. When we realize that what other people think of us doesn't matter then we have taken a huge step. So glad you have left the past behind, Brenda. I need a large suitcase for all my lessons learned. I agree with Laurie - it is a very inspiring phrase. Great inspiration for the start of a fresh, new year, Laura!! It has been a brutal last few years and those regrets, what if's, why did I's, and it feels so good to let them go. I have slowly, but surely been setting them free like balloons on a windy day and oh goodness...it feels so good. Beautiful inspiration for us all! This is something people need to be reminded of often. Thanks for sharing! I think this is a very important message to carry: the past doesn't define our future and as I remember my pupils quite often "our ancestors don't determine who we are" either.